The energy shift is on, and you can be part of it-with enerG Magazine. Perhaps at no time in recent memory have business and government been presented with such a huge and challenging economic shift: the move from traditional energy sources to renewable energy sources. Clearly, the time for renewable energy is now-with recent political developments, and the rising cost of oil, billions of dollars are now being invested in renewable energy, with new projects announced daily. And enerG Magazine is front and center in covering the projects and new developments in this very dynamic industry. 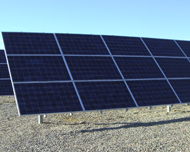 From project stories to product updates, enerG is all about the business of renewable energy. Companies and governments are actively searching for alternatives to declining traditional energy sources, and for ways to improve our environment-and enerG profiles the projects and policies that are moving North America ahead to a future of renewable energy. In every issue of enerG, we look at the practical solutions, where investment capital is going, and what delivers the best paybacks on investment. Whether it involves new greenfield projects or thinking outside the box and using brownfield sites, there is an extraordinary number of renewable energy projects going ahead in North America-and you can stay on top of all of this with enerG. Renewable energy sources present extraordinary promise for the economic future. Every issue of enerG, which is published bi-monthly, contains news and features about the latest developments in renewable energy. Read about how companies from Google to Wal-Mart are opting for renewable energy, whether it is wind, solar or a combination of technologies. The editorial line-up that we have created for enerG Magazine covers the most critical and urgent energy issues facing industry and government, and how renewable energy can be the solution. Our vision with enerG is to create a magazine that provides our readers and advertisers with new opportunities to influence-and to be part of-this exciting new industry. enerG's target audience is people who work in the industry sectors that you need to reach-those that are actively implementing or working on the imminent implementation of new renewable energy sources in their businesses. And you can reach them right now-in the next issue of enerG.